9/11/2001. A dazed man picks up a paper that was blown out of the towers after the attack of the World Trade Center, and begins to read it. 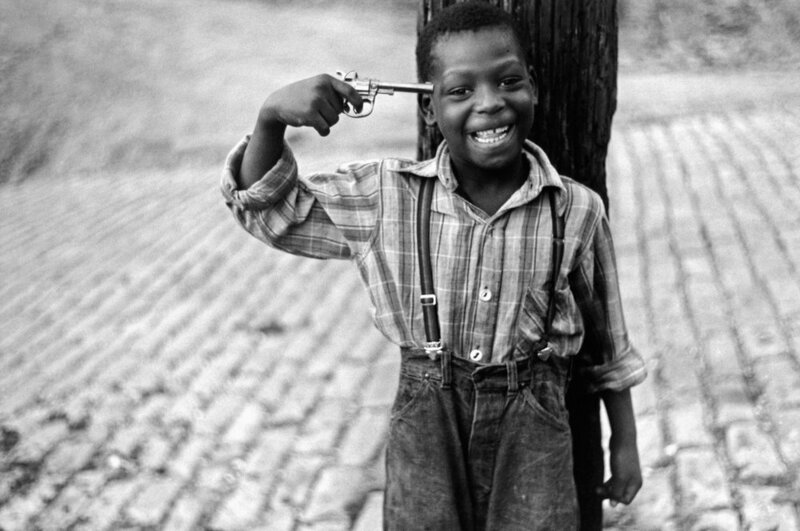 Photo by Larry Towell. 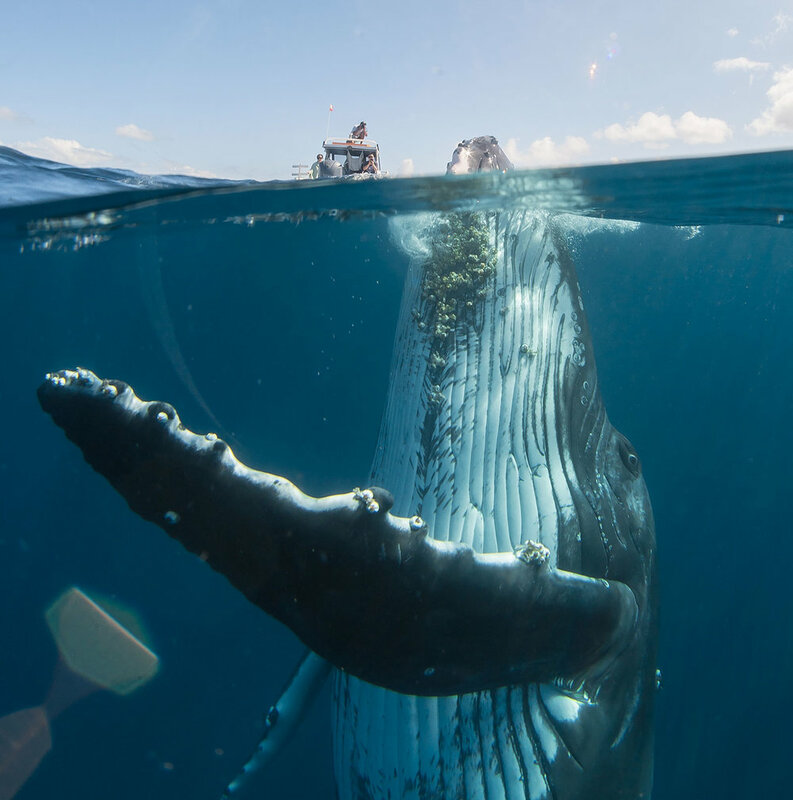 A humpback whale pops out of the waters near Tongatapu, Tonga. Photography by David Edgar. Flowers at night. Photo by An Rong Xu. 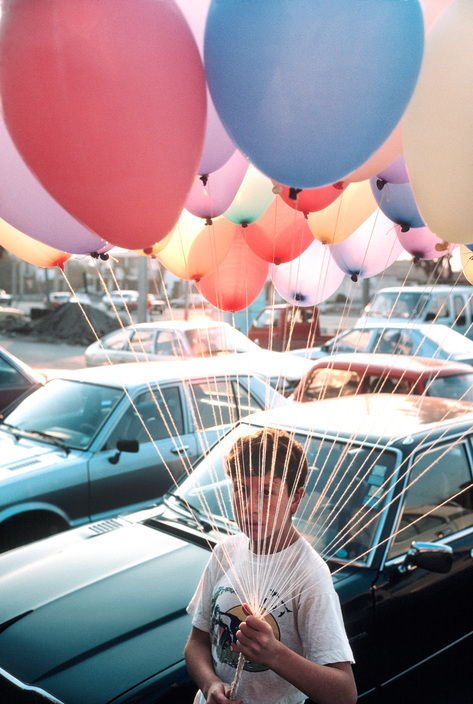 Boy with balloons in Santiago, Chile. Photo by David Alan Harvey. Love somewhere in America. Photo by Harris Mizrahi. Dolgans | Anabar district, Yakutia. Photo by Jimmy Nelson. Clouds of smoke and steam billow from chimney stacks as a man pulls a trolley through a neighbourhood next to a coal fired power plant in Shanxi, China. Photo by Kevin Frayer. Two brothers live in a traditional yaodong (‘kiln cave’), carved into a hillside on the Loess Plateau in central China. The earth-lined walls have good insulating properties, enabling residents to survive cold winters. 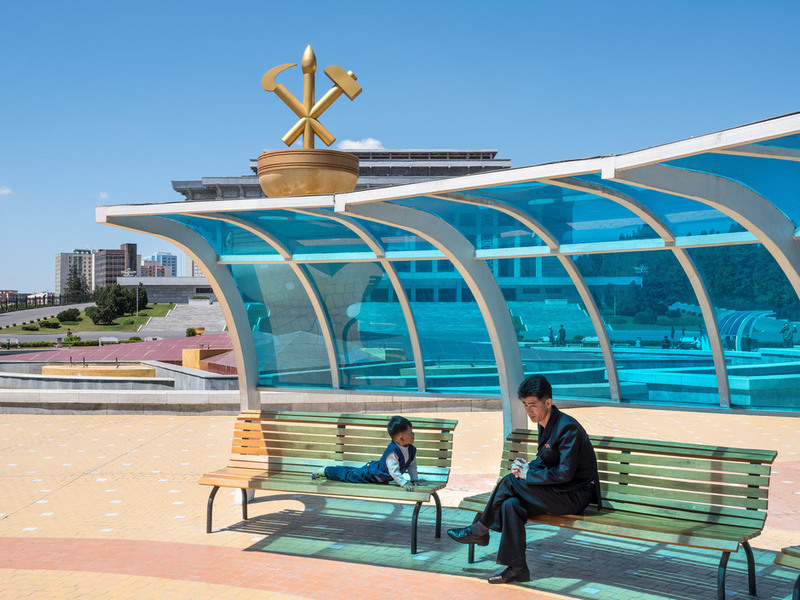 Photo by Huaifeng Li. Man with Bandage. 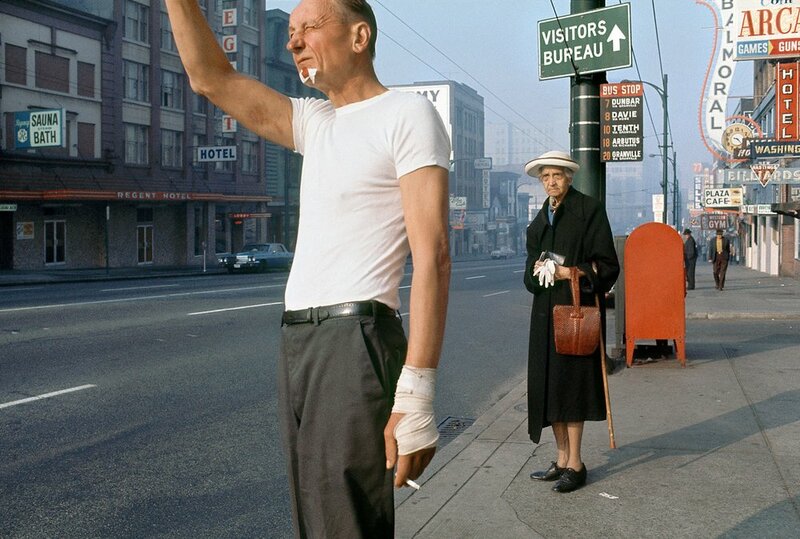 Fred Herzog. A Contra fighter shoots at government forces while his friend lays dying. Photo by James Nachtwey. 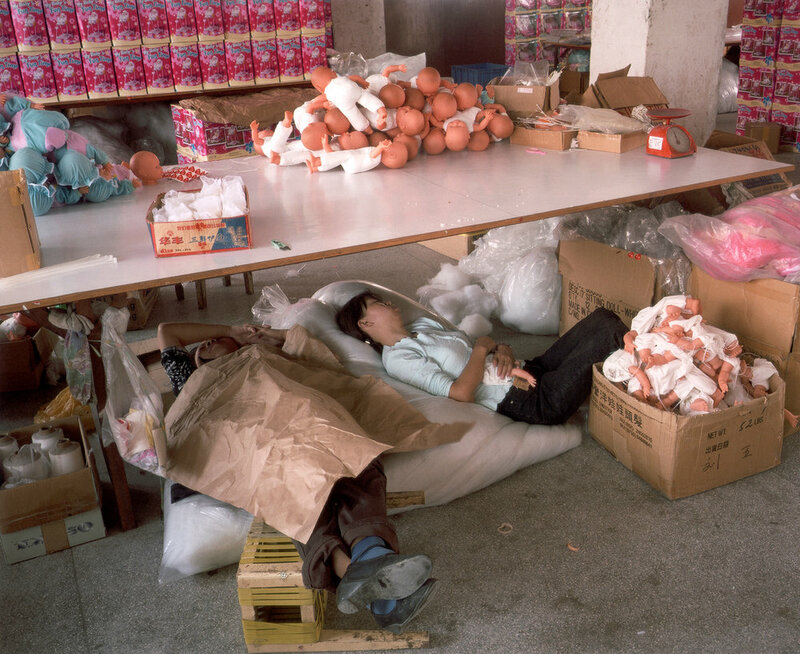 Workers taking a break at a toy factory. In recent years China has grown to become the world's fifth largest exporter of merchandise, and has one of the world's fastest growing economies. A huge influx of migrant workers is required to meet demand in city factories. Photo by Michael Wolf. Inhabitants venture out between the eruptions of Mount Pinatubo. Over 330 dead and 250,000 homeless was the tragic toll of the eruptions. The 1,780m high volcano had lain dormant for over 600 years. Mass evacuation got underway as ash and stones rained from the sky. Nearby US Clark Air Force Base sustained so much damage that the Pentagon decided to close it. Photo by Philippe Bourseiller & Arnaud de Wildenberg. The twins' gymnastics dream This series was taken in a sports school in Jining, in Shandong province, China. Liu Bingqing and Liu Yujie are twin sisters, who have liked gymnastics since their childhood. They have studied, trained and grown up here. 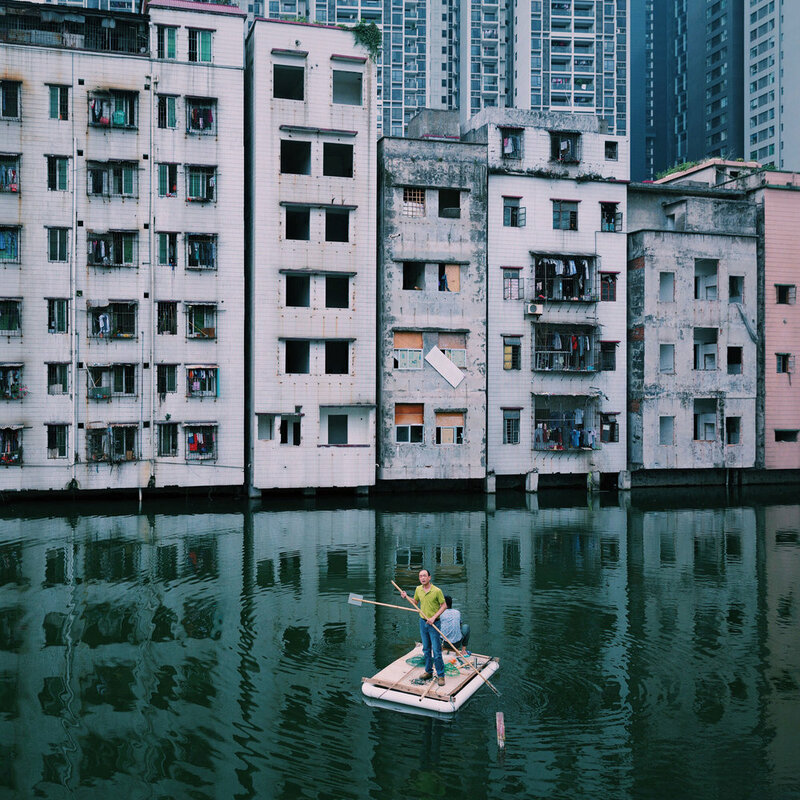 Photo by Yuan Peng. US soldiers take defensive positions after receiving fire from the Taliban in Korengal Valley, Afghanistan on 11 May. Specialist Zachery Boyd was wearing 'I Love NY' boxer shorts when he rushed from his bunker to support fellow platoon members. Photo by David Guttenfelde. Saigon, Vietnam Buddhist monk Thich Quang Duc sets himself ablaze to protest the South Vietnamese government’s persecution of Buddhists. The self-immolation of Thich Quang Duc occurred during the Buddhist crisis in Vietnam, the civilian upheaval against the predominantly Catholic government of President Ngo Dinh Diem, which was supported by the United States. 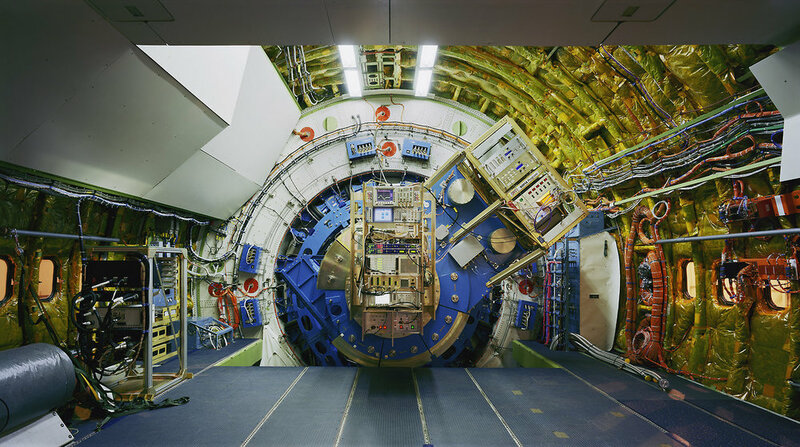 Photo by Malcolm W. Browne. 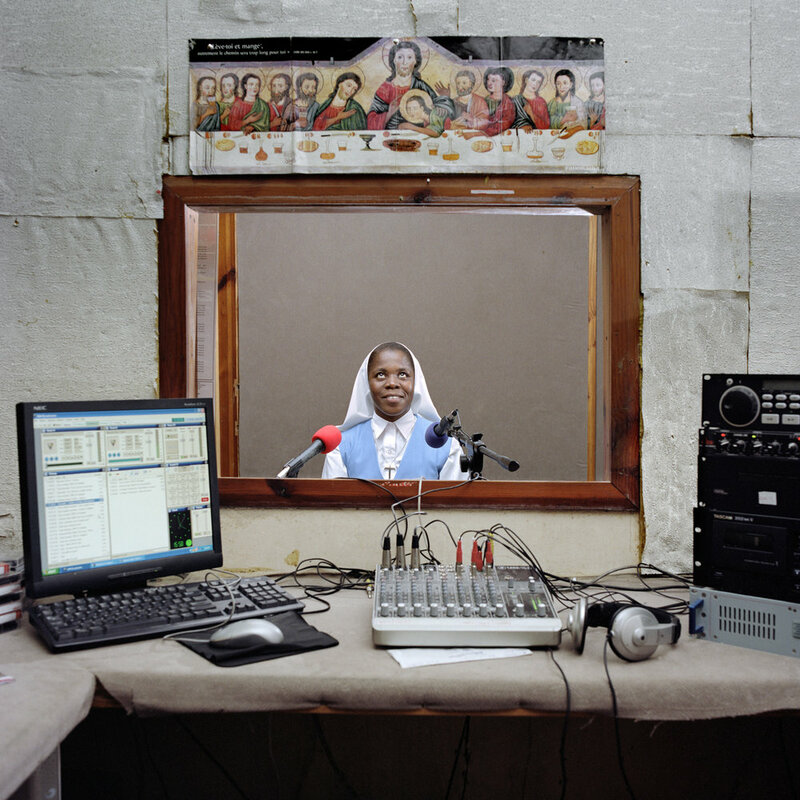 Radio Haiti, More than 50 percent of Haitians are illiterate, and only 25 percent have regular access to electricity, which means that battery-operated radios are the country’s main medium. Photo by Paolo Woods. Beirut, Lebanon. 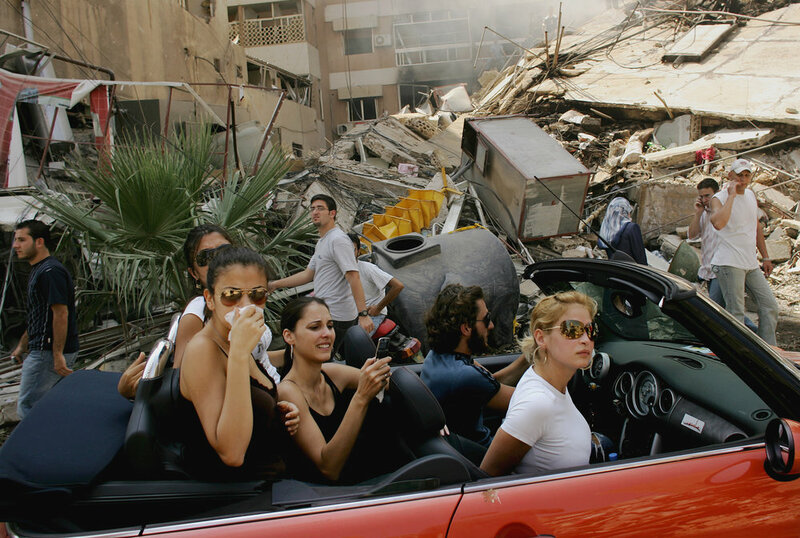 Young Lebanese drive down a street in Haret Shreik, a southern suburb of Beirut, to check on their homes after bombardments by Israel. For nearly five weeks in 2006, Israel had been targeting that part of the city and towns across southern Lebanon in a campaign against Hezbollah militants. Photo by Spencer Platt. Tokyo, Japan. Otoya Yamaguchi, a right-wing student, assassinates Inejiro Asanuma, Socialist Party Chairman, during his speech at the Hibiya Hall in Tokyo in 1960. Photo by Yasushi Nagao. A Syrian man smoking his pipe while listening to his phonograph, in his bombed out house has gone viral since it was first published. The man is Mohammed Mohiedin Anis, a vintage car collector, living in a town formerly held by rebels, who were eventually defeated by government forces. A ballerina watches the World Cup quarter-final match between Russia and Croatia at the Mikhailovsky Theatre in Saint Petersburg, Russia. Photo by Anton Vaganov. American Interiors depicts the psychological repercussions of war and military service through images of the interiors of cars owned by veterans in the USA. 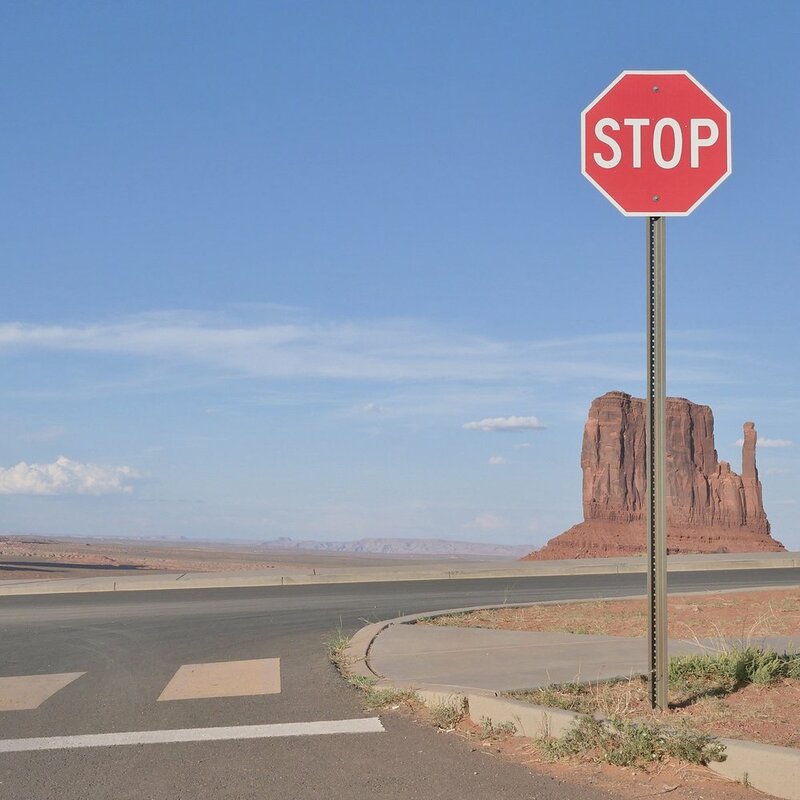 Photo by M. L. Casteel. A boy runs after airstrikes conducted by Syrian government forces hit a neighborhood in rebel-held Aleppo on April 24, 2016. Photo by Beha el Halebi. Taking a bath in the Amazon. Photo by Araquém Alcântar. Senkwekwe the silverback mountain gorilla weighed at least 500 pounds when his carcass was strapped to a makeshift stretcher, and it took more than a dozen men to hoist it into the air. Brent Stirton captured the scene while in ­Virunga National Park in the Democratic Republic of Congo. ­Senkwekwe and several other gorillas were shot dead as a violent conflict engulfed the park, where half the world’s critically endangered mountain gorillas live. Photo by Brent Stirton. Kids in the American South, 1965. Photo by Gordon Parks. Arnold Schwarzenegger in his prime, 1976. Photo by Elliot Erwitt. Boy in Yemen. Photo by Steve McCurry. A man walks through his destroyed neighborhood in Aleppo, Syria. Photo by Karam al-Masri. Life on a Canadian farm. Photo by Larry Towell. In Transylvania and other remote areas of Romania, many people farm on a small scale, in ways unchanged for centuries. Photo by Rena Effendi. A man rushes off with a shopping cart full of diapers. The acquittal of four police officers whose assault on black motorist Rodney King was watched on TV by millions, sparked off mass looting and rioting. The disturbances claimed 58 lives and many buildings were destroyed by fire. Photo by Kirk McKoy. Shadow puppetry somewhere in China. 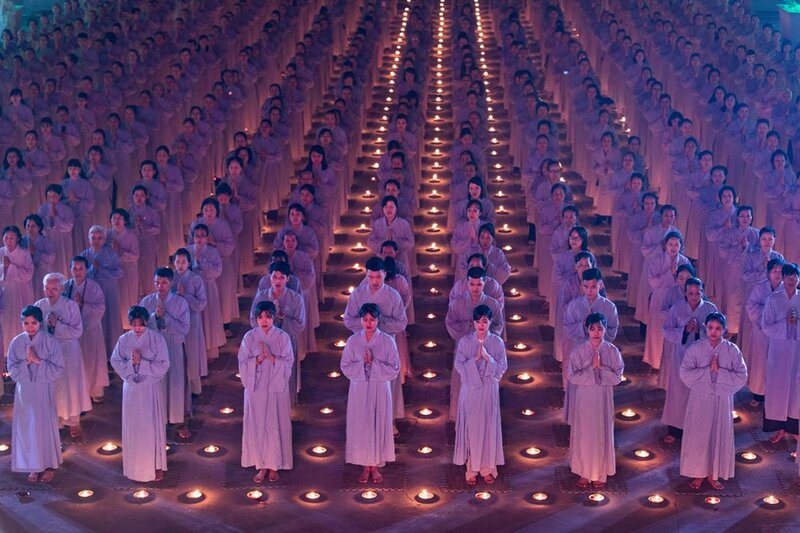 Photogrpahy by Pan Jianhua. 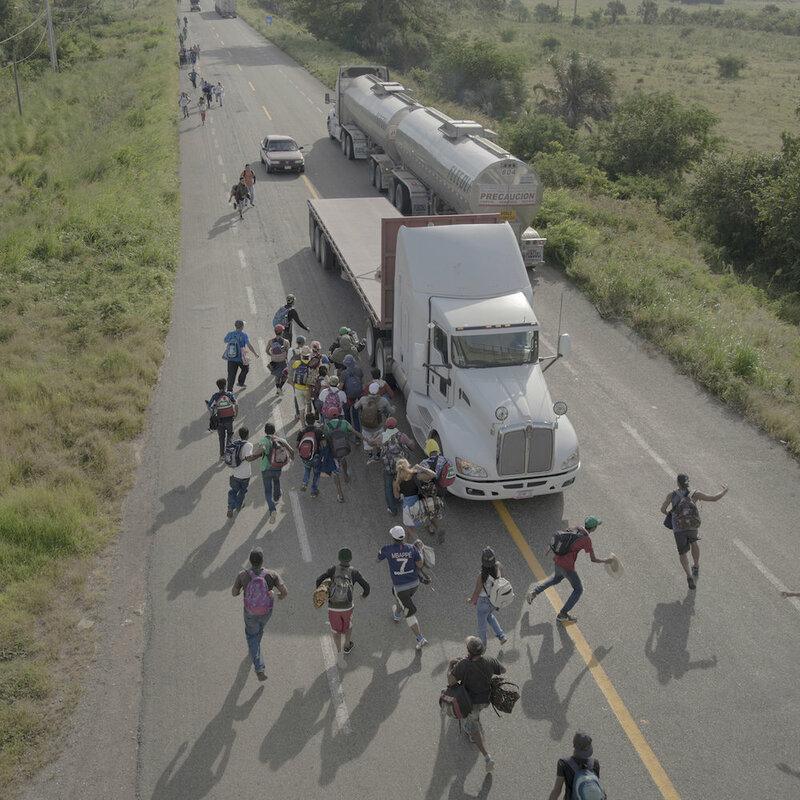 People run to a truck that has stopped to give them a ride, outside Tapanatepec, Mexico. Some drivers charged to give migrants a lift for part of the way to the US border, but most offered services free as a sign of support. Photo by Pieter Ten Hoopen. Saigon, Vietnam. 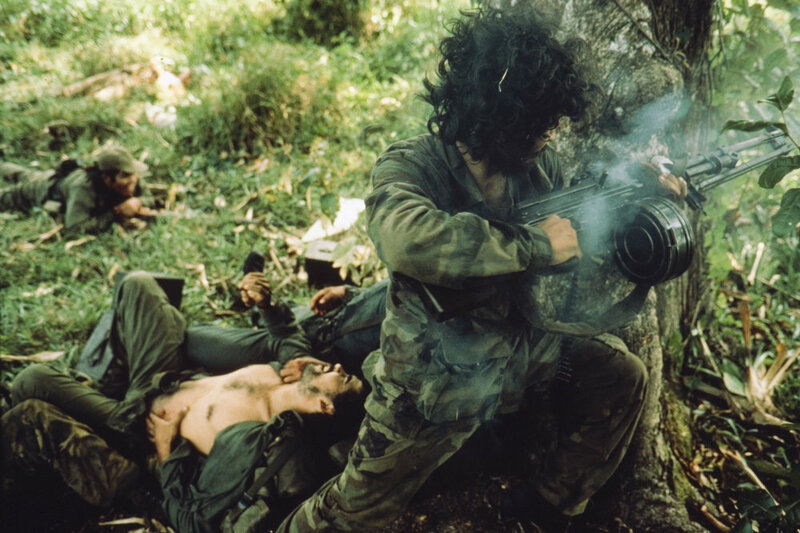 South Vietnam National Police Chief Nguyen Ngoc Loan executes suspected Viet Cong member Nguyen Van Lem, on the second day of the Tet Offensive during the Vietnam War. Photo by Eddie Adams. ouchsurfers hang out at the apartment of their host, ‘Naked Paul’, in Brooklyn. Photo by Malte Jäger. Before each preaching tour, Andres Castillo takes his son Nezareth to the desert outside Trujillo and holds him up to the heavens. Nezareth (8), is an evangelical preacher who can command audiences of thousands. His father says he was told by God that he would produce a son powerful with words and in knowledge. Photo by Seamus Murphy. Brentford Football Club. Photo by Thomas Nielsen. Lonely boat in Puerto Rico. Photo by Chris Gregory. Ice cream on the beach in Rio, Brazil. Photo by David Alan Harvey. 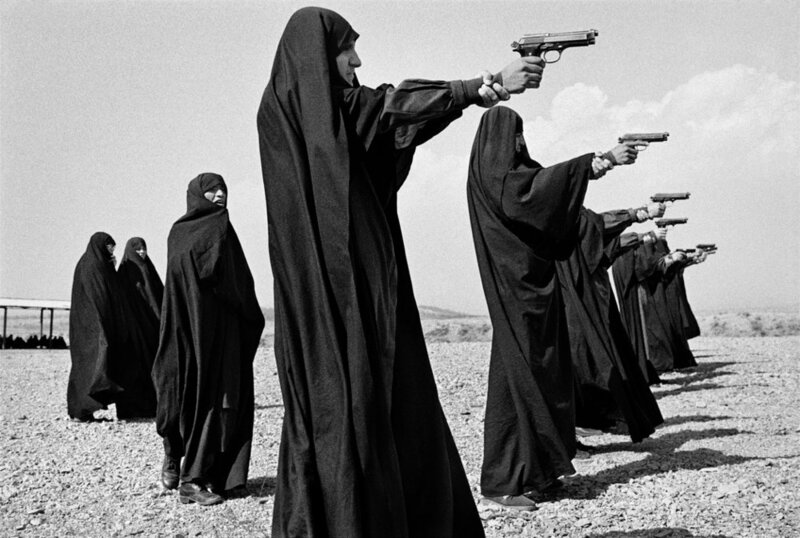 Veiled women practice shooting on the outskirts of the Tehran, Iran. Photo by Jean Gaumy 1986. African migrants on the shore of Djibouti City at night raise their phones in an attempt to catch an inexpensive signal from neighboring Somalia—a tenuous link to relatives abroad. Photo by John-Stanmeyer. Afghani boy soldier. Photo by Steve McCurry. Workers assemble for a morning pep talk and to sing the company song in a factory that repairs air-conditioners. In recent years China has grown to become the world's fifth largest exporter of merchandise, and has one of the world's fastest growing economies. A huge influx of migrant workers is required to meet demand in city factories. Photo by Michael Wolf. Phan Thi Kim Phuc (center) flees with other children after South Vietnamese planes mistakenly dropped napalm on South Vietnamese troops and civilians. Photo by Nick Ut. A pianist plays Bach while his brain is scanned to discover whether it shows any difference between playing simple scales and a complex piece. Certain brain areas were activated only when the Bach was played. The influence of music on the brain could be used in treating Alzheimer's or stroke. Photo byStephan Elleringmann. Farani family watch Pakistani TV in their tent in a refugee camp outside Peshawar, Pakistan. 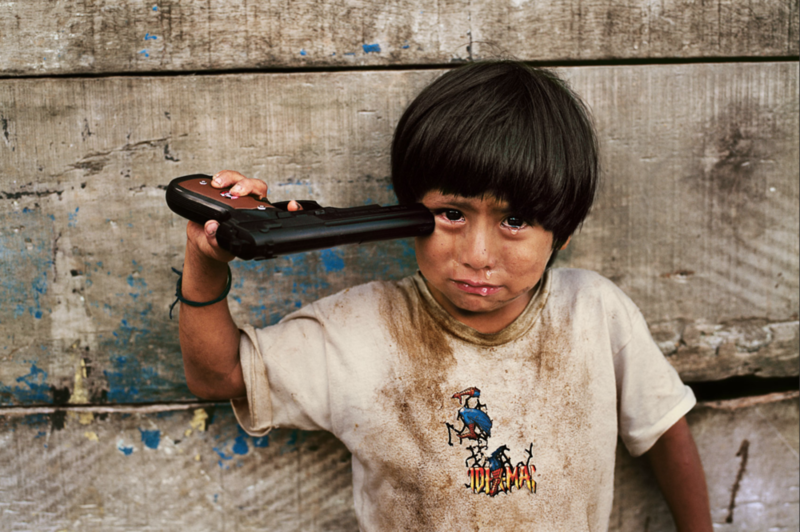 Photo by Steve McCurry. Lake Hamun, Iran. Photo by Hashem Shakeri. A circus goes on tour. Photo by Manfred Rehm. The photographer’s family, early one morning on summer holiday in northern Italy. Photo by Søren Bidstrup. Danish drinkers having a great time. Photo by Thomas Nielsen.